Oakley is known for their innovative sports equipment including their sports glasses. Oakley sports glasses are one of the only frames capable of switching multiple lenses and have sports specific lens combinations. These are lightweight and high-performance sports glasses that maintain superior protection and clarity. Having a hard time seeing that pop fly caught in the sun? 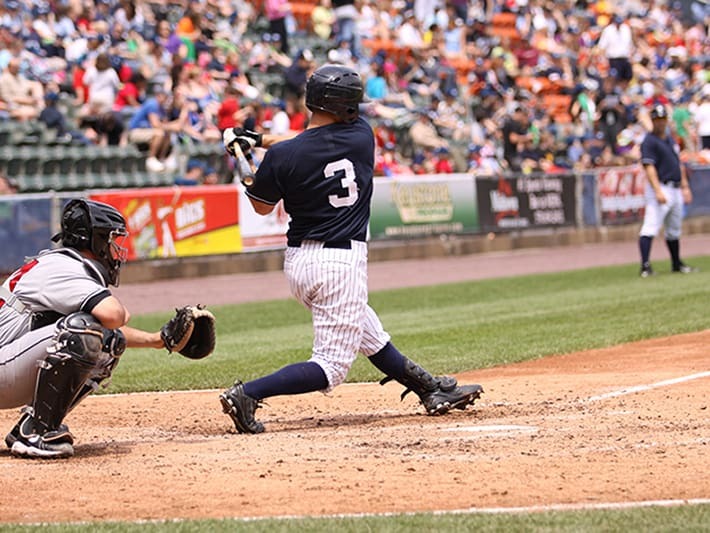 Oakley sports sunglasses will help you drown out the sun and help you see the ball to make the catch. These sports sunglasses enhance your vision by eliminating glare and providing sun protection. With customized Oakley sports glasses you will be able to make those difficult outs or hit that homerun your team needs to win the game. From the open roads to the trails Eyewear Gallery has custom fit biking glasses for you! Oakley offers a variety of lens combinations for varying light conditions and environments. They also offer vented lenses to avoid any fogging and their patented unobtainium to avoid slipping off your face; the more you sweat the more it will grip. Don’t let your vision slow down your ride for that special race or that cruise you’ve been waiting for. 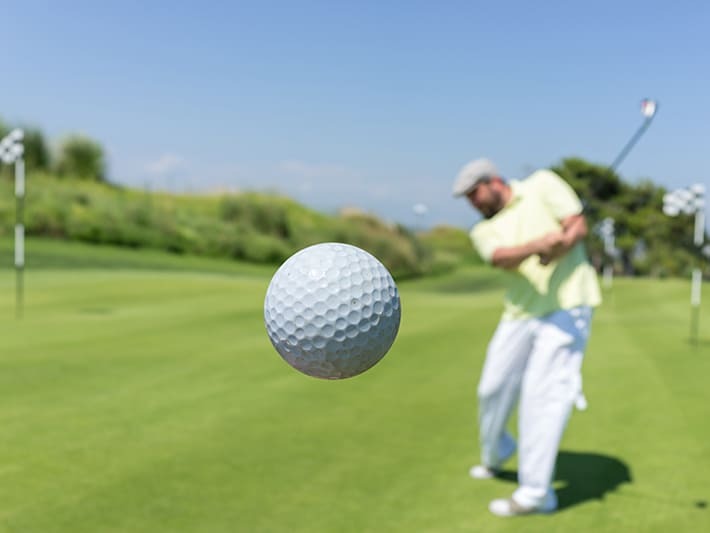 A day out on the course could be full of sun or clouds. Do you have the right sun protection that allows you to play in any weather? Oakley sports glasses will provide the clearest vision with minimum distortion to see the greens and play your best. Eyewear Gallery specializes in Oakley custom fitted sports sunglasses in prescription and non prescription for golfing. Looking for sports sunglasses that look good at any time? Oakley has many different casual to functional styles for any occasion, like taking a brisk walk or going out for an adventurous hike. Oakley also offers a variety of lens combinations for protection on sunny or cloudy days. Eyewear Gallery provides prescription and non-prescription Oakley lenses to enhance your vision for any hike or walk. Don’t miss your prize shot because of your vision! Eyewear Gallery offers a variety of Oakley styles including camouflage designs. 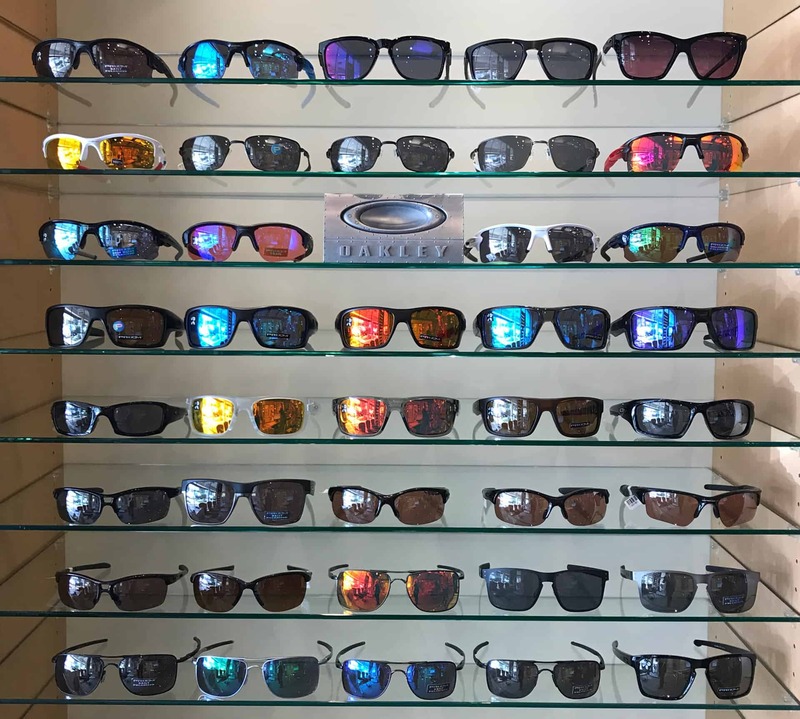 These Oakley sports sunglasses will cut the sun’s glare and protect your eyes with many polarized lens options in prescription or non-prescription. Oakley sports glasses will help you achieve the clearest vision possible and enjoy the ultimate outdoor experience. Set the pace and reach the finish line with Oakley! Long or short distances, light jog or marathon; Oakley sports glasses have lenses in prescription and non-prescription that will enhance your vision and protect your eyes. Along with their specialized lenses the rubber like substance, unobtainium, on the nose pads and temple tips ensure they stay on your face by gripping the more you sweat. 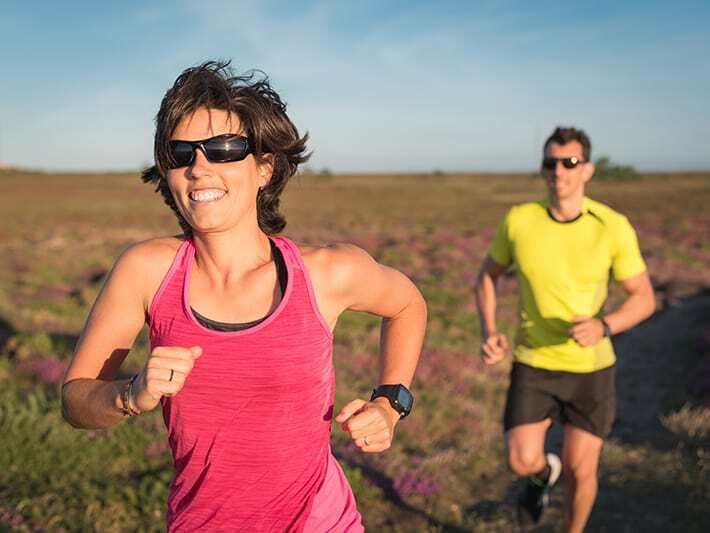 The Eyewear Gallery staff will help you find the right Oakley to fit your running needs. 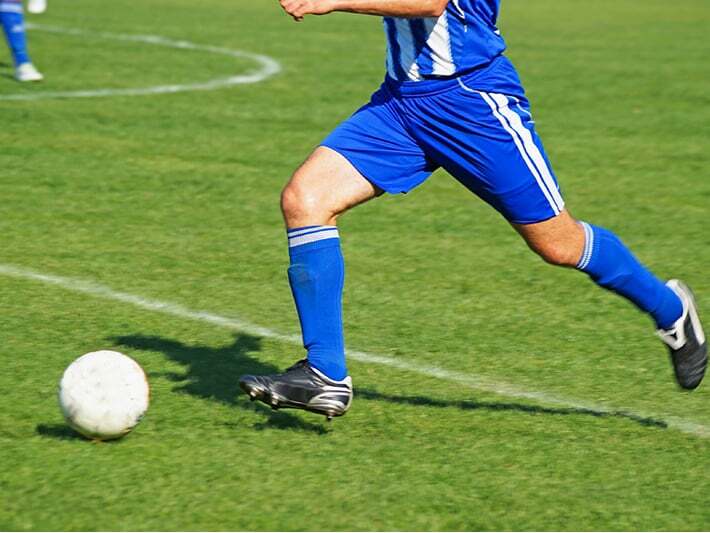 Trying to make the perfect pass or make that winning goal, but your vision is a little blurry? Oakley sports sunglasses are available at Eyewear Gallery in prescription and non-prescription. Oakley has lightweight sports glasses that will stay on your face with the unobtainium nose pads and provide you with the protection needed. The lens combinations that can be switched out are also available for those games late in the day and at night. Don’t let your vision keep you from getting that winning goal. Don’t let your vision be your competitor’s advantage on the court! Eyewear Gallery has custom fit Oakley sports glasses for your indoor or outdoor tennis matches. With Oakley’s patented unobtainium nose pads you don’t have to worry about your glasses falling off your face coupled with the perfect lens combination to enhance your vision in the sun or the shadows.